DIGITAL EXCLUSIVE: Includes five additional poems only available on the digital download. "Billy Collins puts the 'fun' back in 'profundity.' 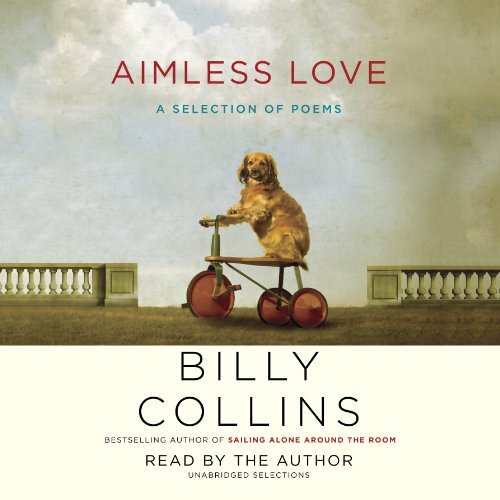 "
From the two-term Poet Laureate of the United States Billy Collins comes his first compilation of new and selected poems in 12 years. Aimless Love combines new poems with selections from four previous books - Nine Horses, The Trouble with Poetry, Ballistics, and Horoscopes for the Dead. Collins's unmistakable voice, which brings together plain speech with imaginative surprise, is clearly heard with every word, reminding us how he has managed to enrich the tapestry of contemporary poetry and greatly expand its audience. His work is featured in top literary magazines such as The New Yorker, Poetry, and The Atlantic, and he sells out reading venues all across the country. Appearing regularly in The Best American Poetry series, his poems appeal to readers and live audiences far and wide and have been translated into more than a dozen languages. By turns playful, ironic, and serious, Collins's poetry captures the nuances of everyday life while leading the reader into zones of inspired wonder. In the poet's own words, he hopes that his poems "begin in Kansas and end in Oz." Touching on the themes of love, loss, joy, and poetry itself, these poems showcase the best work of this "poet of plenitude, irony, and Augustan grace" (The New Yorker).